Please join us at our April 18 Chapter Luncheon where Mr. Jeffrey Dorko, FEMA's Assistant Administrator for Logistics, will speak. 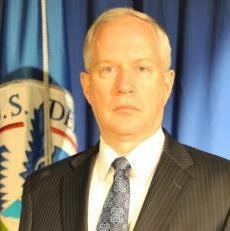 Mr. Dorko serves as the Assistant Administrator for Logistics within the Office of Response and Recovery. Prior to this posting, he served as Director of the Office of Federal Disaster Coordination (OFDC). Mr. Dorko’s public service career spans more than 35 years at the Federal level, mostly with the U.S. Army Corps of Engineers, serving in key leadership positions world-wide and completing his military service as a Major General. Mr. Dorko’s capstone assignment with the U.S. Army was as Deputy Commanding General, Military and International Operations, where he led a combined 11,000 civilian and military personnel and managed a $28B program. Prior to that assignment, he served as the Commander, U.S. Army Engineer Division in Iraq, supporting Operation Iraqi Freedom. Additionally, Mr. Dorko commanded the Corps of Engineers Southwest Division, headquartered in Dallas, Texas. While there he worked extensively with FEMA, most notably during the response to Hurricane Rita, leading the Corps efforts in power restoration, debris removal, roof repair, structural assessment and commodity distribution. Mr. Dorko is a graduate of the U.S. Military Academy, where he received a Bachelor of Science degree. He has graduate degrees in Construction Management from George Washington University and National Security Strategy from the Industrial College of the Armed Forces at the National Defense University.